It’s that time of the year when the hues of rainbow fills the streets as everyone is in a gala mood and is splashing colors on their friends. Reveling in the spirit of Holi people might be busy skimming through the parties happening in town while trying to pick the best. To make your task easy and to give you a worthwhile experience we bring you Balam Pichkari – Holi Celebration 2016 with Rain Dance. “Balam Pichkari” promises to be the biggest rain dance party ever at the SALT Destination Whitefield featuring DJ Siana Catherine, DJ Arror, DJ Zak in Bengaluru. Yes that’s right. 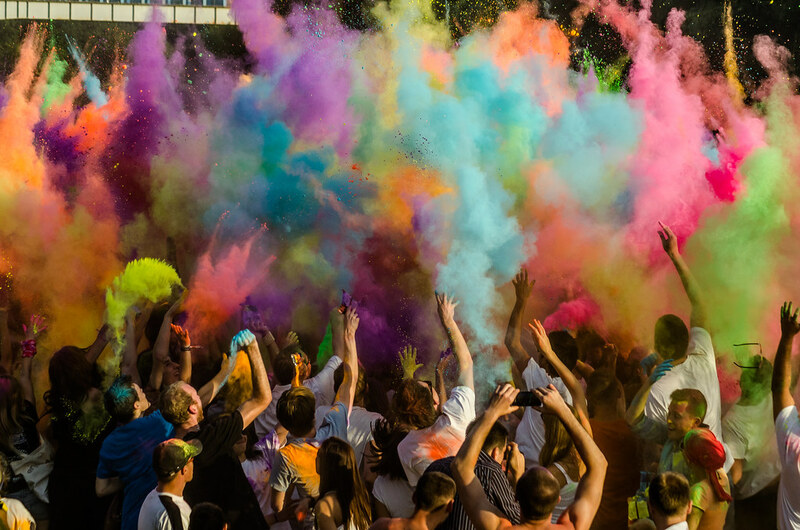 You not just get to splash colors on your friends at a happening venue, you can also groove to the best of music and enjoy a rain dance at this seven-hour-long celebration. To give you a traditional feel while you celebrate the festival of colors, you will be ushered into the venue with a Tika and a welcome drink (Rooh Afza). The desi twist doesn’t end there, ‘coz that’s the theme for the decor of the venue as well. Apart from rain dance the guests can have fun with dry colors, water balloons, outdoor games, pichkari play, thandai and many more exciting activities. So, gear up to gorge on a range of traditional food and beverages, like Thandai. Dance till you drop and play fun games this holi. Hurry get your tickets now!